The REIV reported 457 properties auctioned this weekend versus 248 last week and 518 for the same time last year. The clearance rate was 74% which is steady compared to last week’s result of 75% and slightly less than the 80% recorded last year for the same time. 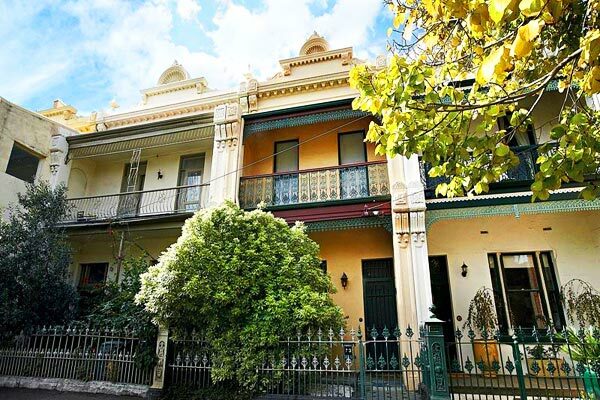 Melbourne’s auction clearance rates have been solid but this could be attributed to low stock levels. Agents are reporting March the 24th and 31st to be very busy Saturdays with close to 1000 plus properties expected to go under the hammer. We are now seeing buyers and sellers come back from holidays in full force to either buy or sell/upgrade. Before making a decision on whether the property market is going to collapse or not let’s look at the facts. Fact Number 1. There were some major changes in a number of sectors of the market last year which directly impacted the Australian property market, in particular Melbourne and Sydney. According to Corelogic the property market in Australia peaked in May 2017. Fact number 2. APRA has been targeting banks to toughen their lending criteria for property investors and at the same time demanded they reduce the number of Interest Only loans on their loan books which has since pushed many mortgage holders to Principal and Interest loans. This has reduced the number of investors in the market and placed pressure on those investors who have not allowed for any buffers. The Sydney market over the past few years was driven by investors, approximately 50% of the buyers. Fact number 3. Government has cracked down on foreign buyers through a number of tax initiatives. As well, the Chinese government has also clamped down on the outflow of money from China to Countries like Australia and Canada. Fact number 4. The Spring season brings with it significantly higher stock levels which impacts property prices, property supply outweighs buyer demand. Clearance rates often fall seasonally during this time so to make a judgement on the state of the property market during this time would be presumptuous. Fact number 5. The First Home Buyer market has picked up momentum especially since Victoria’s State Government has increased stamp duty savings up to $750,000 as of July 1st. This has significantly pushed activity and prices for property sub $1million. We have had our busiest start to the year ever with demand for our services from both sellers and buyers being strong. It has been very difficult to buy good property at market value under the $1million mark for the reasons mentioned above. I am seeing other advocates pay well over for properties situated in what I would call “B Grade” locations, busy roads, opposite a “T Intersection” or next to a speed hump, commercial property or problem area. So if what we are seeing on the ground with demand from buyers any measure, then we believe the Melbourne market is still in good shape. However we need to also take into account that not all suburbs and property price points are reacting in the same way at the moment. There has been much happening in the economy especially on the global front which I believe will have a significant impact on our economy and therefore property prices. The Federal Reserve in the US is finally lifting rates, 4 rates rises are expected by th end of this year. Although expected for some time this expectation has sent shudders through stock exchanges around the world in recent times. The Dow Jones had two 1,000 point falls over the last two weeks but recovered to only be down 10%, the Australian market has only fallen 5% for the same period. Experts are saying this correction was always coming, it was just a matter of when. There could be more of the same to come as rates in the US start rising but we will see. Why this market correction appears different to the 1987 collapse or 2008 GFC? Our economic fundamentals are sound, the banking system is in check and the global economy is set to rise especially in Asia and the US. Australia should be a major beneficiary of this rise with GDP growth predicted to peak at 3.25-3.5% til 2020. Unemployment is expected to fall to 5.25% and wages which have been stagnant for some time are set to grow. Our Governor of the Reserve Bank is not keen to see any interest rates rise in the short term, economists see a 0.25% rise by the end of this year while others are predicting 2019 will see a rate rise. With the Australian dollar at close to 80 US cents at the moment I’m not too sure anyone in their right mind would want to make Australian industry more uncompetitive globally. So I would expect rates to stay on hold for some time or rises to be marginal. Taking all this into account I can’t see any collapse in our economy in the near future and therefore no collapse in property prices of our two major capital cities. In Melbourne at least I expect the market under $1million to be very strong and anything over $2million to be patchy. Brand new or relatively new apartments will continue to come under pressure on price, quality uniqueness will assist. ‘Vanilla’ type property in an area with large supply already at hand or near completion will continue to be severely impacted by price. My pick for Melbourne is a ‘steady’ market, perhaps with a low to moderate price growth of between 3-6% for the year after last year’s 9% price growth. Some stability and perhaps even some uncertainty could start to creep in as we near the September State election in 2018 and the Federal election in 2019. 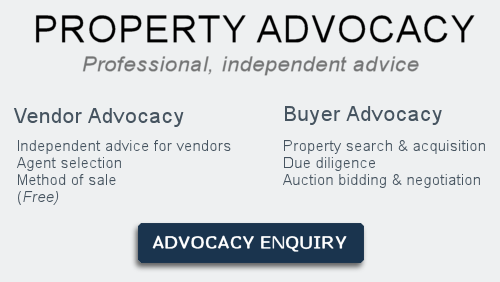 We have advised any client thinking of selling to bring their plans forward to avoid any expected political ‘noise’. Some good buying opportunities could begin to arise but patience will need to be exercised. A big Congratulations and Thank You to our two vendors Jim and Debbie who sold their properties over the weekend. One in Carnegie, the other in Port Melbourne. Melbourne Auction Results > Melbourne Property Market & Prices > Melbourne Property Market Updates > Where is The Property Market Heading?